Here's a little sneak peek of the work in progress of the girls' mermaid tops I designed for Five Whimsy Lane. We wanted to go for a lined mesh top encrusted with natural elements, gems and of course, GLITTER! 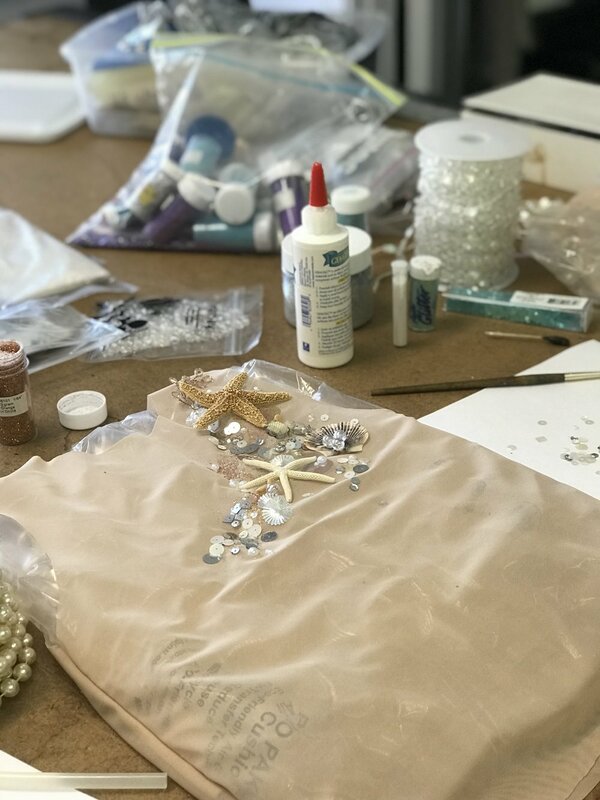 I used a combination of lightweight seashells and starfish as well as beads, sequins, crushed pailettes and distressed tulle pieces. I glued them all to the mesh layer of the top with Gem Tac, E6000 and of course, hot glue. Stay tuned for the final looks from the girls' birthday party!